After being inundated with requests for the music on our Prudential ‘Fishermen’ ad, which was an original composition commissioned exclusively for Prudential, we asked the composers to create a full length version of the track. Which they did. And you can now download it from iTunes. 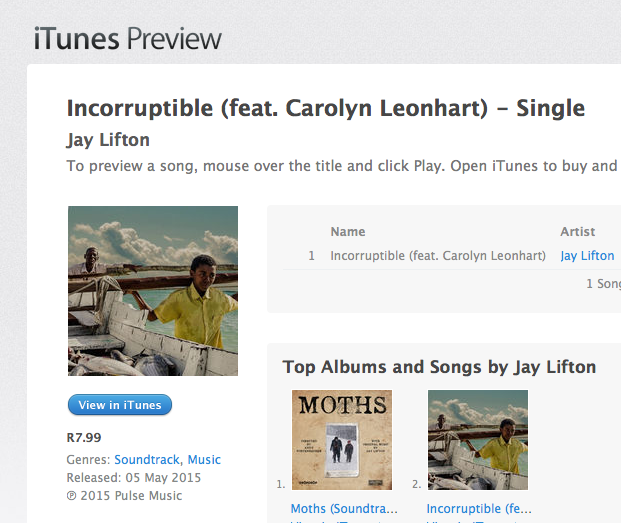 It’s called “Incorruptible” by Jay Lifton (feat. Carolyn Leonhart).